"Williams Martini Racing Polo-Shirt& Cap"
Das Paket Angebot für den Martini Racing Fan, bestehend aus Williams Martini Racing Polo-Shirt und Martini Cap. Sie sparen 19,90€ gegenüber dem Einzelpreis. 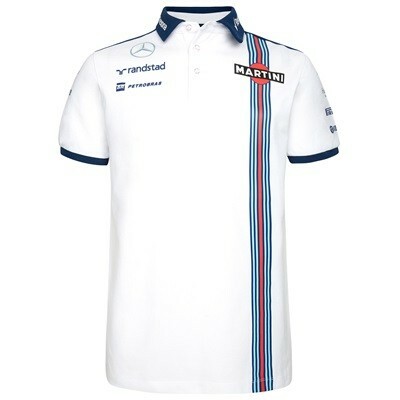 The package offer for the Martini Racing fan, consisting of Williams Martini Racing Polo shirt and Martini Cap. You save € 19.90 compared to the single price. Weiterführende Links zu "Williams Martini Racing Polo-Shirt& Cap"